Underlaying is a matched betting technique which can be very useful for a number of reasons. 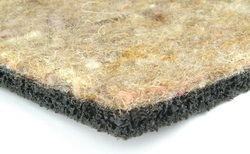 It has nothing to do with carpet........unless you want underlay for your carpet of course. The basic principal of matched betting is that on qualifying bets you're looking for a no lose situation and therefore back and lay for the same amounts at equal odds. Underlaying is the term used to refer to a matched bet where you do not lay your initial back bet off completely at BetFair or Smarkets, or any other exchange. This is an 'underlay' because the 'optimal' amount to lay at Betfair is actually £26.72, so by only laying £25 you are laying less at Betfair than you would normally. So what does that actually mean for us in terms of our profit loss when comparing the optimal matched bet with the underlay matched bet? So either way you have a profit of approximately 38p no matter what the result is. So by underlaying you will make a profit of £10 if the bet wins (the result is 1-0) or you make a loss of £1.25 if the bet loses. As with all the tools in the matched betting arsenal, it's something that can be very useful, and enhance your profits if you go the right way with it. If you're new to the game then I'd stick to the optimal matched betting lays to start with whilst you get a feel for it though. For a good few years of experience and example of underlaying in practice (and where I stole the above example from as it was quicker than thinking up my own!) check out The Gambling Times post on underlaying, when and how to do it.